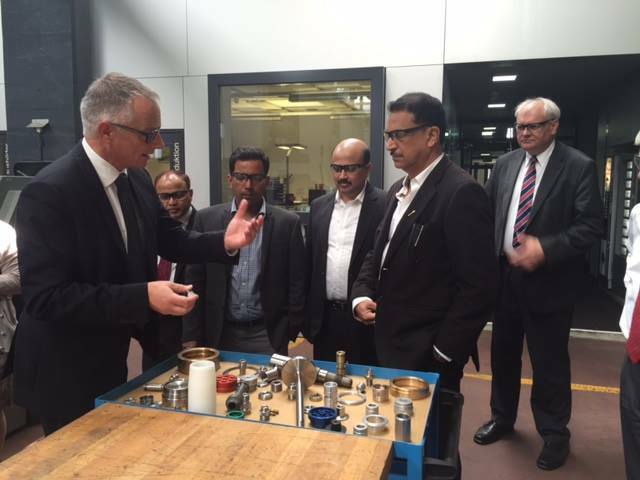 Visit by Shri Rajiv Pratap Rudy, Union Minister of State (Independent Charge) for Skill Development and Entrepreneurship to Switzerland, 21-23 June, 2016. 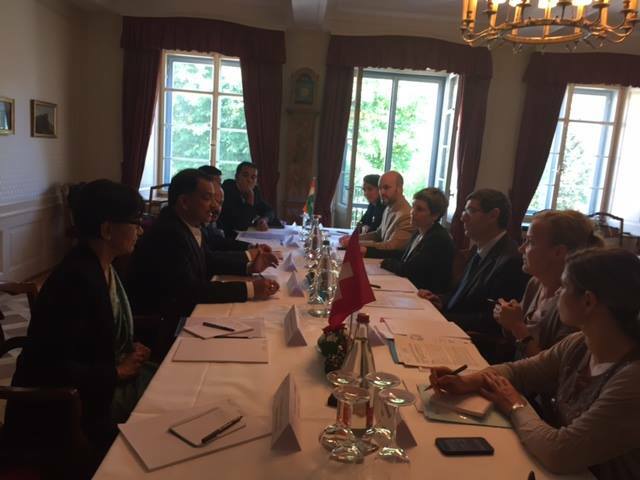 At the invitation of the Swiss Federal Government, Shri Rajiv Pratap Rudy, Union Minister of State (Independent Charge) for Skill Development and Entrepreneurship paid a visit to Switzerland on 21-23 June, 2016 in order to strengthen relations in skill development between the two countries. 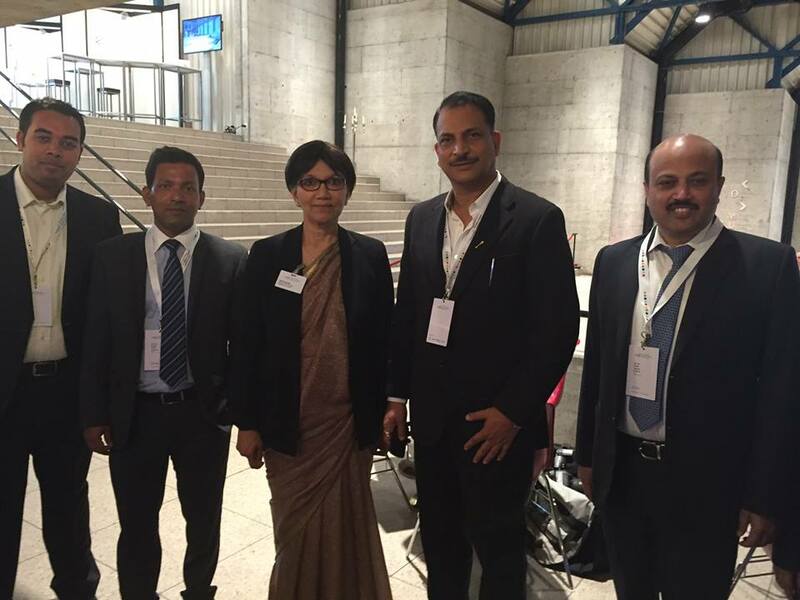 During the visit, the Minister made a Keynote Speech on “Skill Development in India: Opportunities and Challenges” at the International Congress on Vocational and Professional Education and Training in Winterthur on 21 June, 2016. 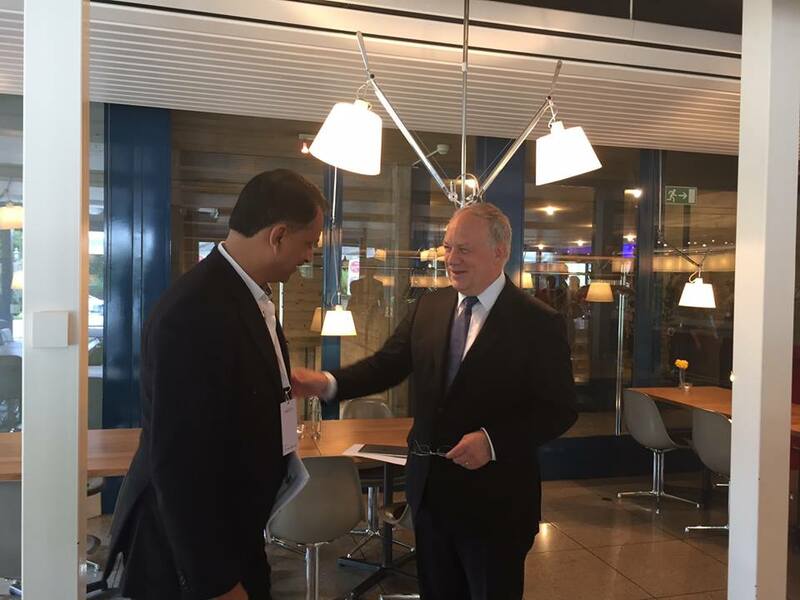 He also met the Swiss Federal President H.E. 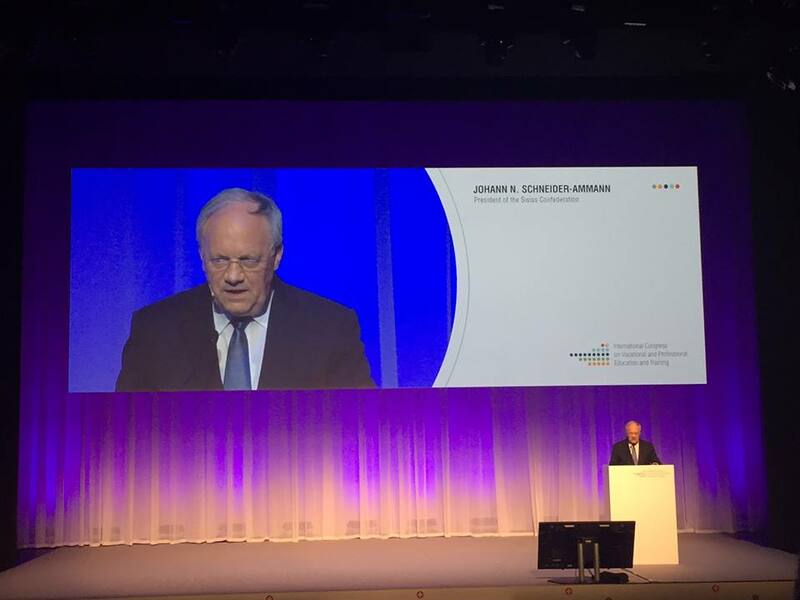 Mr. Johann Schneider-Ammann. The next day i.e. 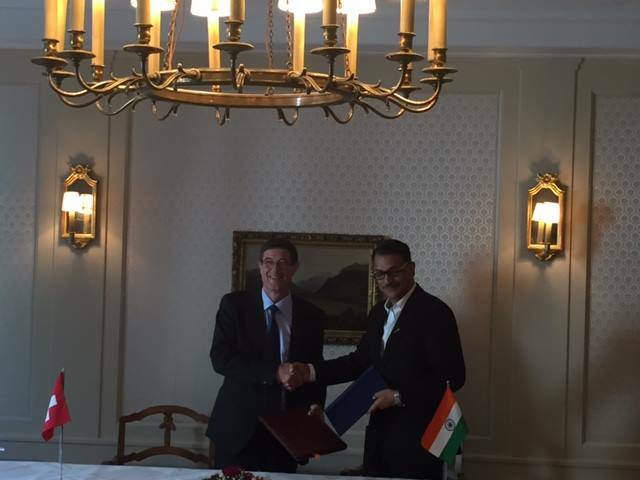 on 22 June, he signed a bilateral MoU on Cooperation in the fields of Skill Development as well as Vocational and Professional Education and Training, which was co-signed by Mr. Mauro Dell’Ambrogio, State Secretary, State Secretariat for Education, Research and Innovation (SERI), Federal Department of Economic Affairs, Education and Research (EAER) of the Swiss Confederation from Swiss side. 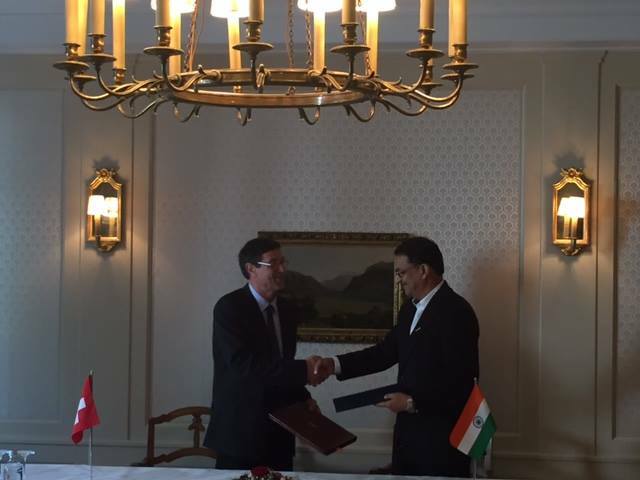 Under the MoU, consultations will be held under the umbrella of an Indo-Swiss Joint Working Group (JWG) for exploring possible cooperation activities and the two countries will exchange best practices in this crucial area in pursuance of Hon’ble Prime Minister’s Skill India Programme. Shri Rajiv Pratap Rudy also met Mrs. Ursula Joshi, the co-founder and promoters of the Bharatiya Skill Development Campus (BSDC) in Mahindra World City, Jaipur, and the Rajsthan Skills University, and Dr. Francesco Gherzi, Chairman of the Swiss-Indian Chamber of Commerce (SICC), Zurich. 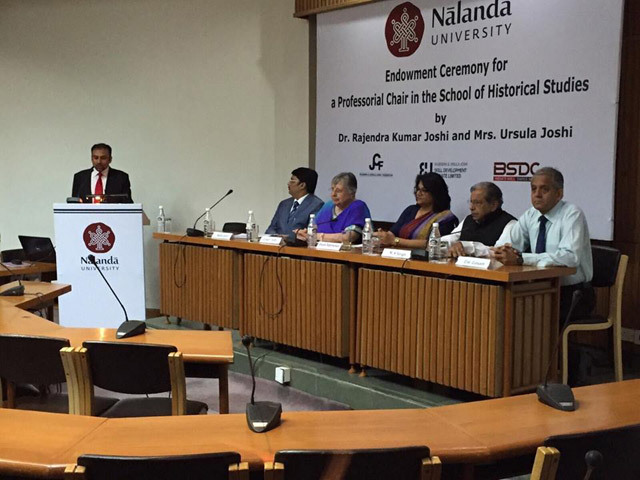 The Dr. Rajendra and Ursula Joshi Foundation has also funded other philanthropic educational ventures in Rajasthan and has supported Nalanda University in Bihar through a US$ 1 million endowment. In the presence of Hon’ble Chief Minister of Rajasthan Smt. Vasundhara Raje, the State Government of Rajasthan signed an MOU with BSDC to set up a Skill Education University in Rajasthan. 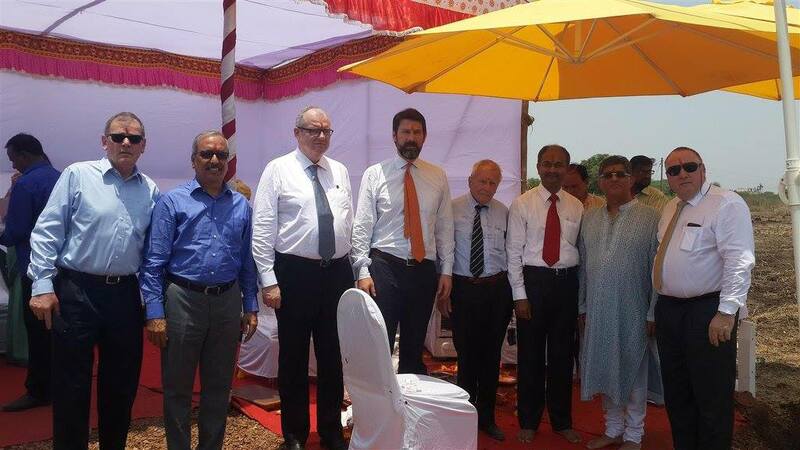 Dr. Francesco Gherzi is setting up a Centre of Excellence and Vocational Education & Training (VET) in Pune, whose ground breaking ceremony was held in April 2016 through the auspices of the SICC. In Switzerland vocational education guarantees both good employment and the foundations of a high-tech economy. 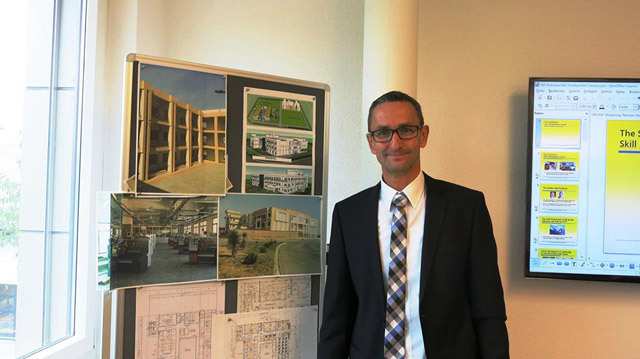 The various Swiss initiatives to introduce the Swiss Dual Vocational Educational System at a mass level in India are thus contributing to India 's development. 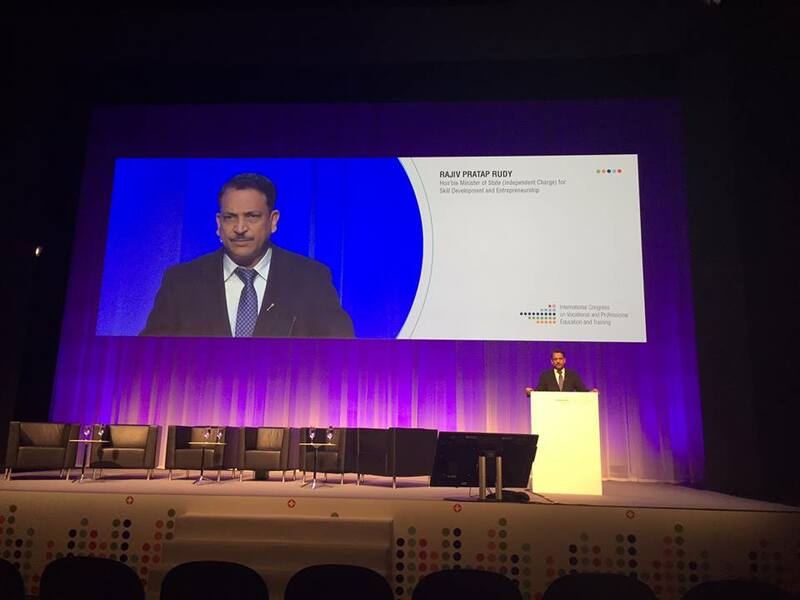 India welcomes such initiatives to introduce Swiss best practices into the Indian vocational education and training sector, which is being boosted by reforms to make it world class and answer the needs of a growing high-tech economy and of India’s youthful masses. Embassy of India is actively pursuing this win-win cooperation. 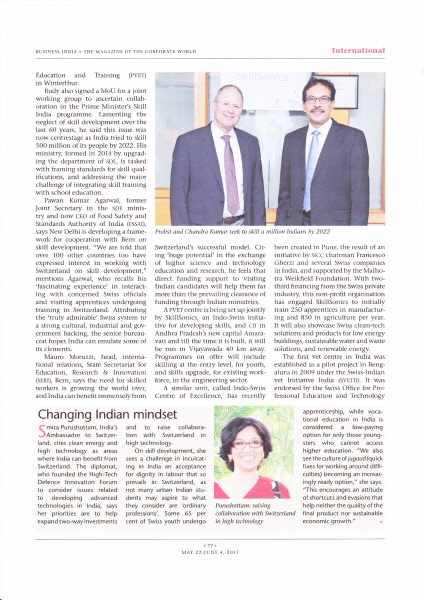 The Joshi Foundation has engaged in numerous philanthropic initiatives in India . 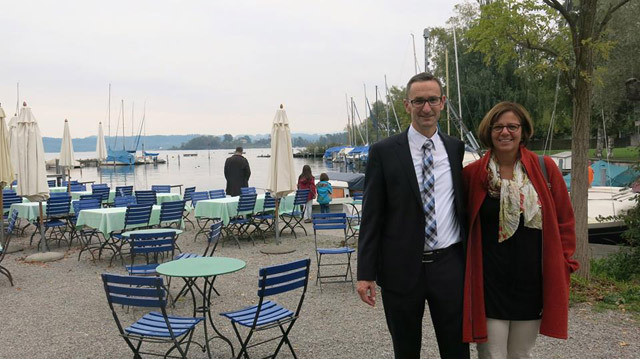 In 2006, Dr. Joshi and Mrs Joshi started the Rajendra and Ursula Joshi Foundation in Zurich , Switzerland to bring the Swiss Dual System of Vocational education and Training to India . On 23 April 2016, in the presence of Hon’ble Chief Minister of Rajasthan Smt. 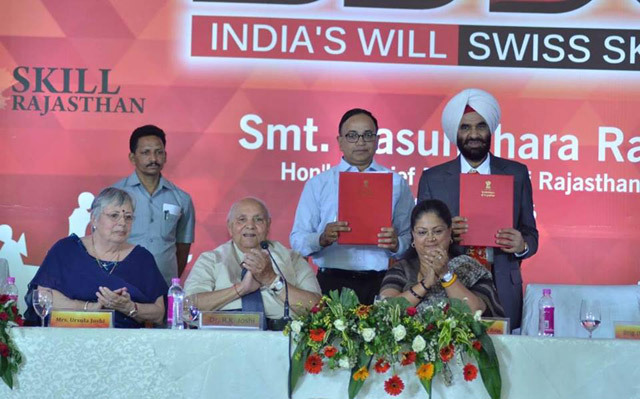 Vasundhara Raje, the State Government of Rajasthan signed an MoU with the Bharatiya Skill Development Campus (BSDC) - to set up a Skill Education University in Rajasthan. 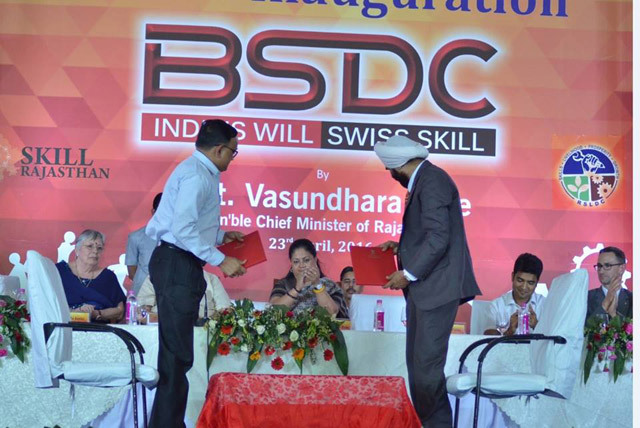 BSDC was established by the Joshi Foundation to impart Vocational Education and Training adapted from Swiss Industrial experience and best practices. It is located at the Special Economic Zone, Mahindra World City, Jaipur. 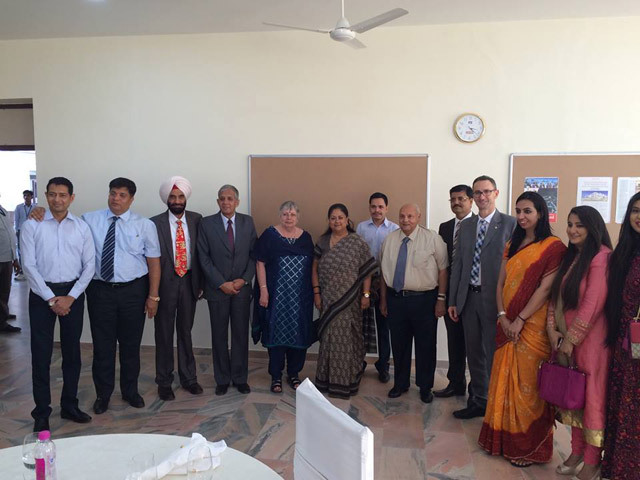 The Skill Education University in Rajasthan will popularise vocational education in India . 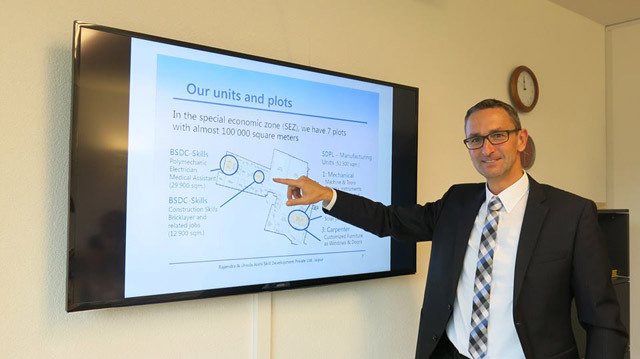 The University will lead to a bachelors or masters in vocational education and a PhD is also possible, with 80% for practical studies and 20% devoted to theory, following the best practices in the Swiss education system with practical training and theory imparted side-by-side. 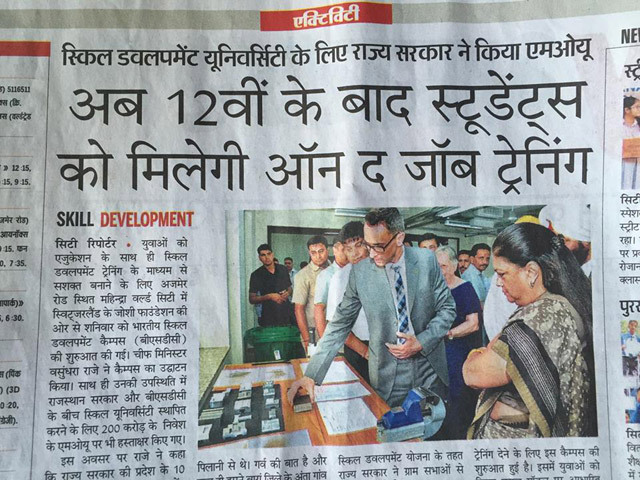 The Rajasthan Government has fully committed to support this initiative. 1. 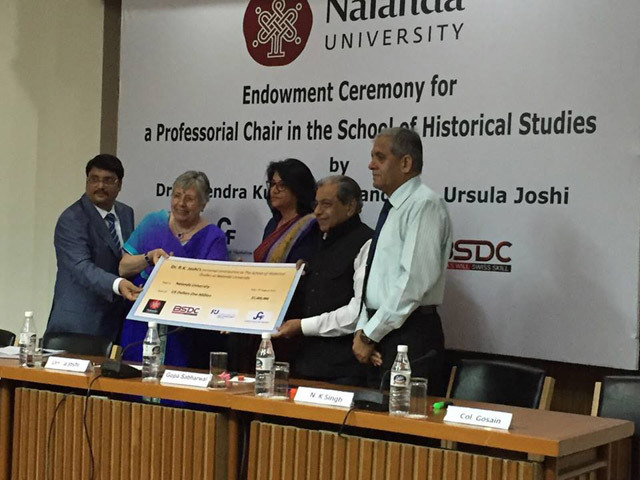 Donated US $ 1 million to support a Professorial Chair in the School of Historical Studies at Nalanda University, Bihar . 2. Supported UMANG to join hydraulic lifts to school buses for wheelchairs. 3.Co-financed the construction of a Girls College near Jaipur. 4. Contributed to construction for a new Industrial Training Centre (ITC) at Bhadesar, District Chittorgarh for Vocational Education and Training. 5. 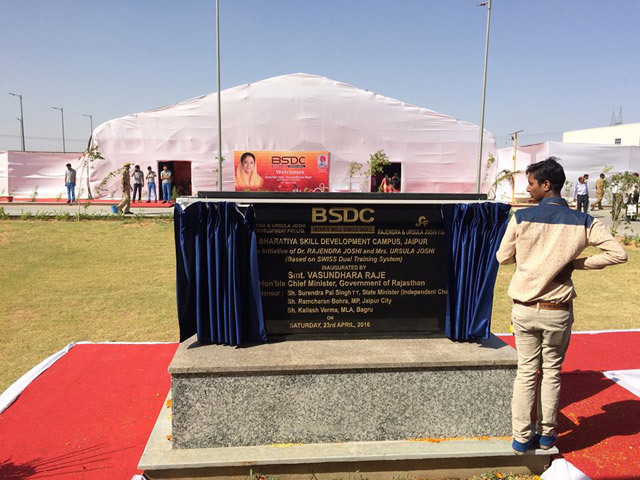 Most importantly, the Foundation set up a full-fledged Bharatiya Skill Development Campus in Jaipur entirely funded by it. 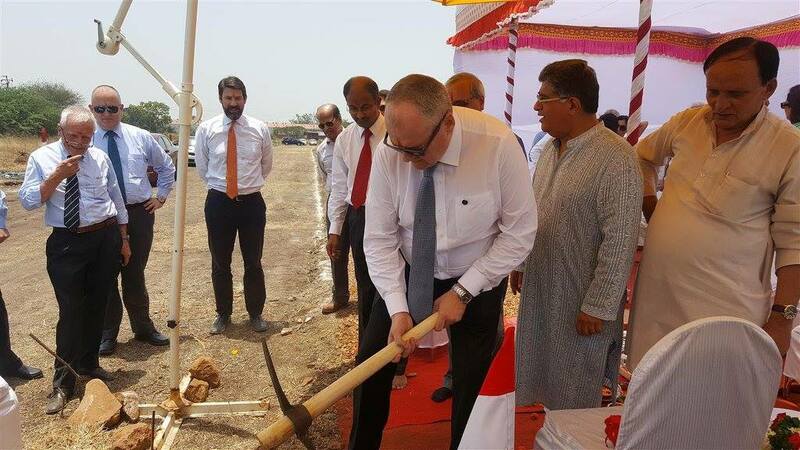 The Indo-Swiss Centre of Excellence was launched through a ground breaking ceremony at Pune, India on21st April, 2016. 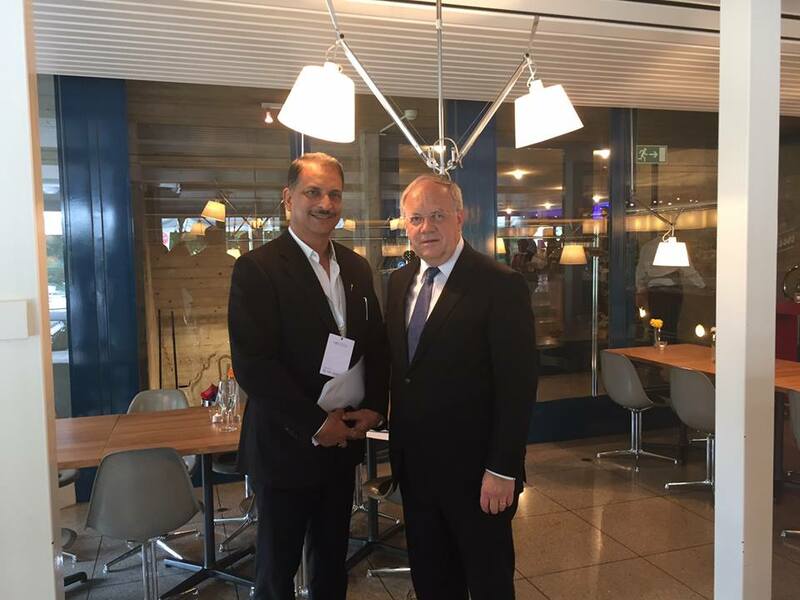 This is a result of an initiative by Mr. Francesco Gherzi, Chairman of the Swiss Indian Chamber of Commerce,and several Swiss companies operating in India with the aim to promote the Swiss model of dual education (apprenticeship). 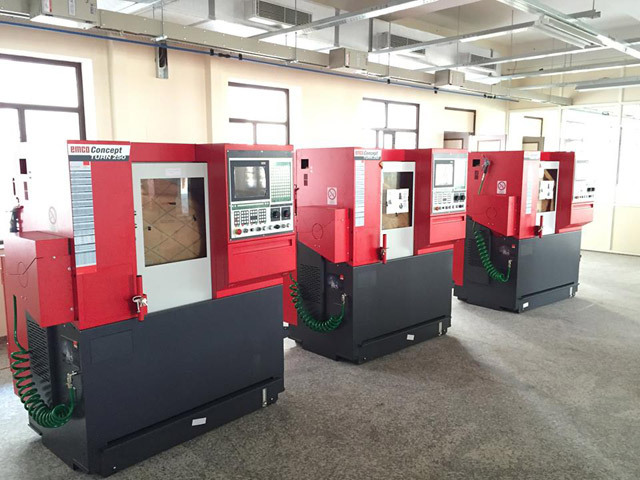 The Centre, which is also supported by the Malhotra Weikfield Foundation, corresponds to a need of the participating companies for skilled employees and is fully in line with the “Make in India” campaign. 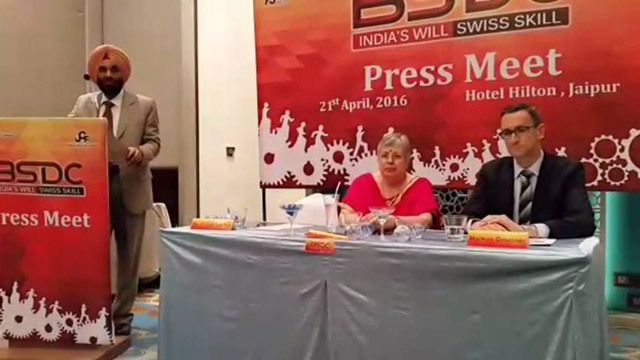 The event was attended by Mr. Martin Bienz, Consul General of Switzerland in Mumbai and prominent members of the Swiss Indian business community." 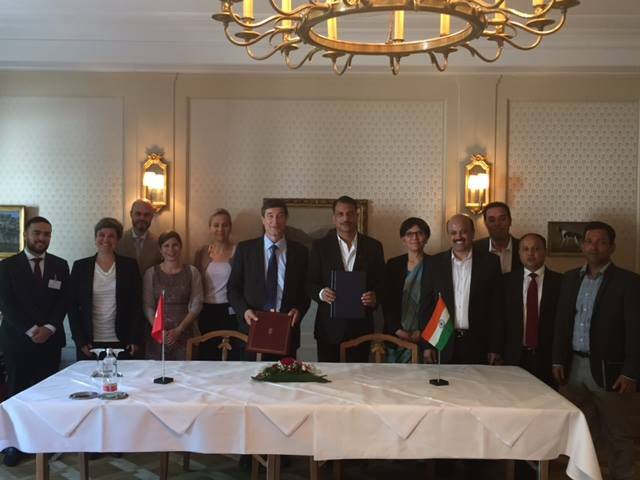 The Centre will impart vocational education and training to Indian apprentices according to the Swiss VET system. The focus will be on manufacturing and agricultural sectors. 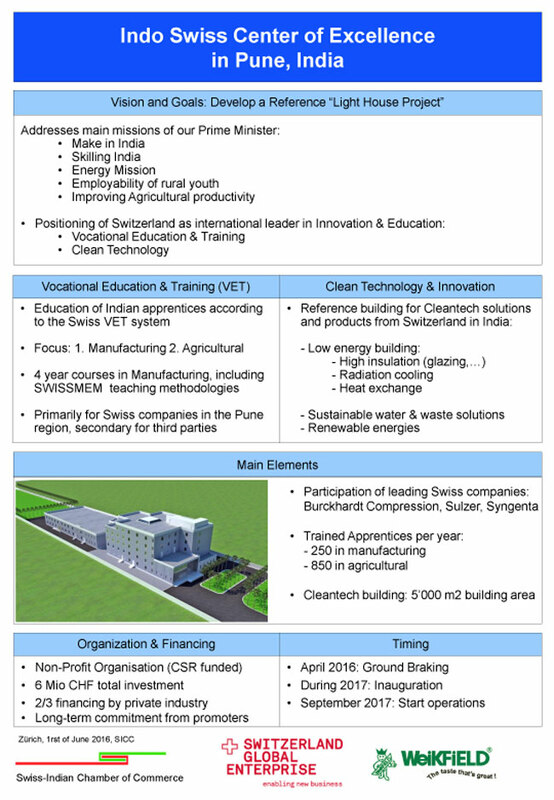 While it is focused on Swiss companies in the Pune region, other companies are welcome to participate. 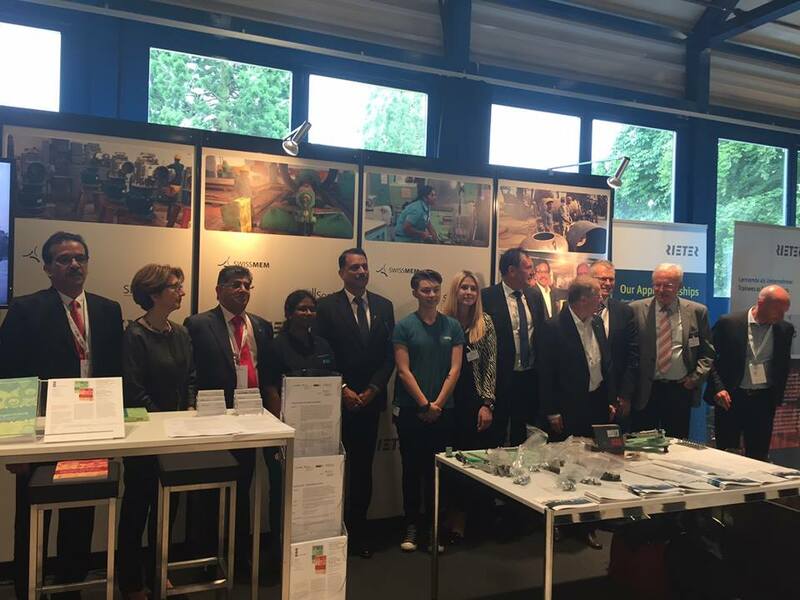 The project also includes showcasing cleantech solutions and products from Switzerland in India in low energy buildings, sustainable water and waste solutions and renewable energy. The initial target is to train 250 apprentices in manufacturing per year and 850 apprentices in the agricultural sector. It is a non-profit organisation with 2/3 financing by the Swiss private industry. It will commence operations in 2017. 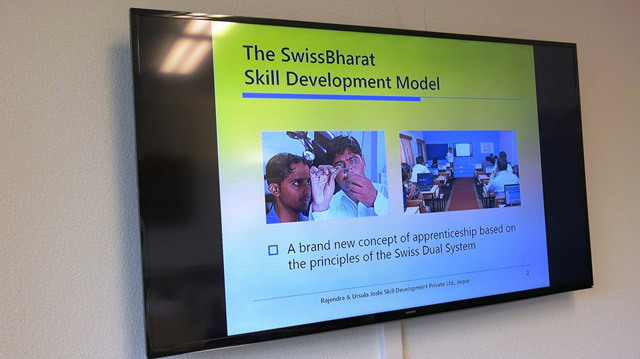 India welcomes such initiatives to introduce Swiss best practices into the Indian vocational education and training sector, which is being boosted by reforms to make it world class and answer the needs of a growing high-tech economy and of India’s youthful masses. 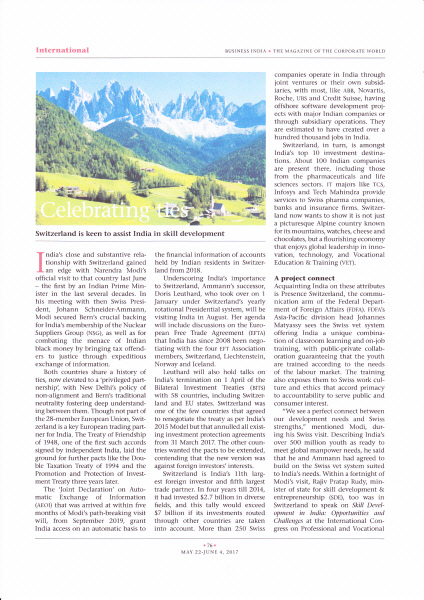 On the occasion of the 60th anniversary of the signing of the Friendship Treaty between India and Switzerland in 2008, SICC (Swiss-Indian Chamber of Commerce) in cooperation with Swiss public and private companies in India launched a pilot project to establish the efficacy of Swiss VET in India. 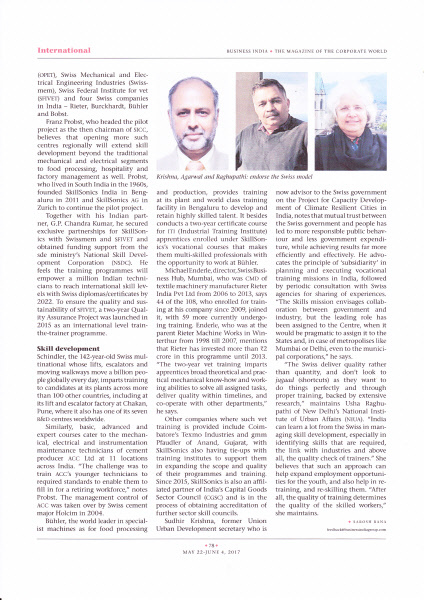 This pilot was run from 2009 to 2013 and culminated in formation of a company by the name of M/s SkillSonics in 2013 in India with a vision to promote vocational training with Swiss standards. 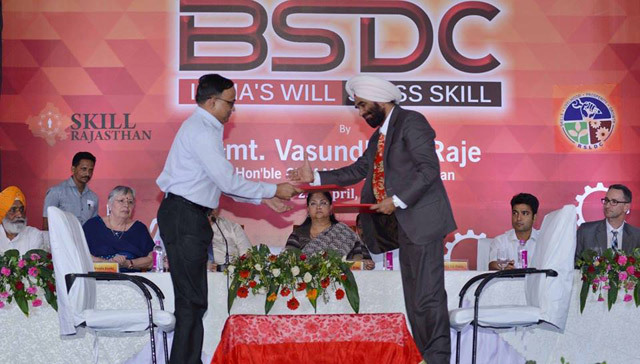 In 2013, National Skill Development Corporation (NSDC) took equity in SkillSonics. 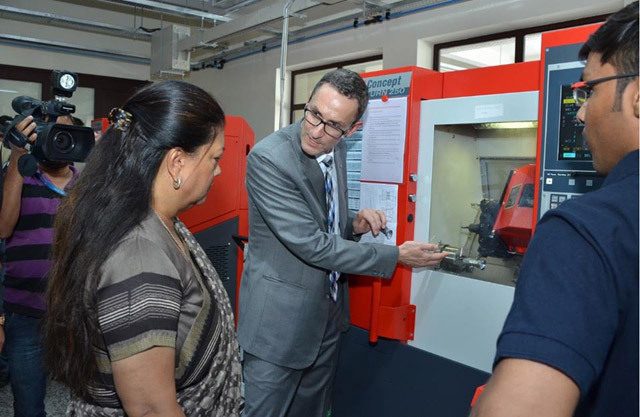 NSDC also provided a soft loan for the expansion of the Swiss VET initiative in India to SkillSonics. 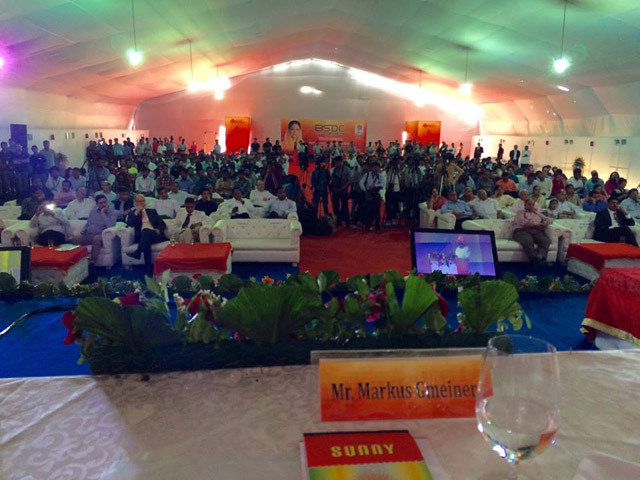 Up to January 2015, SkillSonics had trained about 3400 persons and placed above 90% of them. SkillSonics has signed MoUs with Karnataka, Maharashtra, Gujarat and Goa in order to further promote the apprenticeship model of skills development. SkillSonics has also started to work closely with relevant Sector Skill Councils (SSCs) like capital goods and engineering sectors in supporting the efforts of creating National Occupation Standards, curricula and assessment practices. SkillSonics has also signed an MoU for tie-ups with Swiss partners, covering in particular like sciences, textiles design sector and Swiss Food Industry.